Prominent & Leading Manufacturer from Kolkata, we offer paint processing machine, primer making machine, industrial paint manufacturing machine, floor oxide paint manufacturing machine, acrylic emulsion paint manufacturing machine and cement paint manufacturing machine. This modern high output fine grinding machine employees the well-known principle of grinding & dispersing with agitated balls. 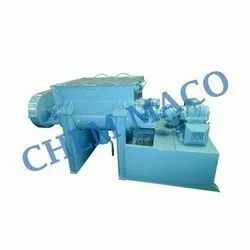 The materials take shorter grinding time in Attritor than conventional Ball Mill. The Attritor is often referred to as an agitated ball mill. • Capacity Available: 5 ltrs., 25 ltrs., 50 ltrs, 100 ltrs., 200 ltrs., 300 ltrs., & 550 ltrs. (Total Vessel capacity). » Economical, consume less power per litre of materials. » Safe and easy performance. » Require no special foundation. • Applications: Printing inks, Paints, Coatings, Cosmetics, Ferrites, Pharmaceuticals, Other Chemicals Processing Industries Etc. Size 100 Ltrs. - 5000 Ltrs. Capacity 100 Ltrs. - 5000 Ltrs. 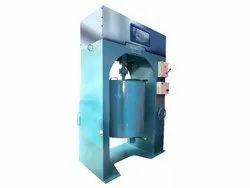 This is the most dependable carefree horizontal batch type machine for Grinding & Mixing of materials by cascading and attrition of grinding media. This is a very flexible machine for dry & wet grinding and mixing. Desired products can be made with a wide range of choice of grinding media e.g. Natural pebbles, steatite balls and steel balls. These mills are available in various versions like Porcelain lined for white and light colour. • Capacity Available: 200 Ltrs., 300 Ltrs., 600 Ltrs., 1400 Ltrs., 2000 Ltrs., & 3000 Ltrs. » Uniform quality throughout the whole batch. » No special attention required while Mills is running. » Wet or Dry both products to be ground. • Applications: Paints, Primer, Floor Oxide, Dry Cement Paint, Cement Base Wall Putty, Tile Fixing Compound, Construction Chemicals, Waterproofing Compound, Other chemicals processing industries. Etc. Capacity 200 Ltrs. to 3000 Ltrs. 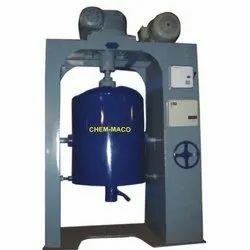 We manufacture High-Speed Dispersers (Hydraulic Lifting) with Tank which is a highly versatile machine for the production of paints, inks, pharmaceuticals and other construction chemicals. This machine ensures proper breaking of agglomerates and can also mix various types of liquid in order to receive premium quality output. » High Viscous materials can be dispersed. • Applications: Printing inks, Paints, Coatings, Cosmetics, Pharmaceuticals, Other chemicals processing industries Etc. Size 100 Kgs. - 4000 Kgs. Capacity 100 Kgs. - 4000 Kgs. • Capacity Available: 200 ltrs., 300 ltrs., 600 ltrs, 1400 Ltrs., 2000 Ltrs., & 3000 Ltrs. 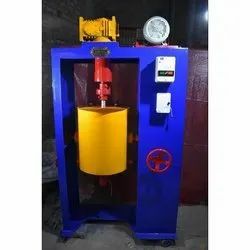 We manufacture Twin Shaft Variable Speed Dispersers (Hydraulic Lifting) with Tank which is a highly versatile machine for the production of paints, inks, pharmaceuticals and other construction chemicals. This machine ensures proper breaking of agglomerates and can also mix various types of liquid in order to receive premium quality output. • Capacity Available: 5 Ltrs., 25 Ltrs., 50 Ltrs., 100 Ltrs., 200 Ltrs., 300 Ltrs., & 550 Ltrs. (Total Vessel capacity). 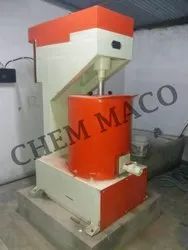 This is the most dependable carefree horizontal batch type machine for Grinding & Mixing of materials by cascading and attrition of grinding media. This is a very flexible machine for dry & wet grinding and mixing. Desired products can be made with wide range of choice of grinding media e.g. Natural pebbles, steatite balls and steel balls. These mills are available in various versions like Porcelain lined for white and light color. • Applications: Paints, Primer, Floor Oxide, Dry Cement Paint, Cement Base Wall Putty, Tile Fixing Compound, Construction Chemicals, Water proofing Compound, Other chemicals processing industries. Etc. This is a heavy duty ‘U’ Shaped horizontal mixer equipped with one robust ‘Anchor’ type shaft for Wet/Dry mixing. 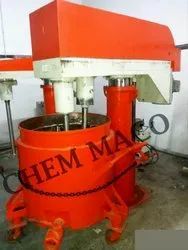 It is designed that can handle formulations for very thick materials. The construction materials may either be stainless steel or mild steel to suit your requirement. 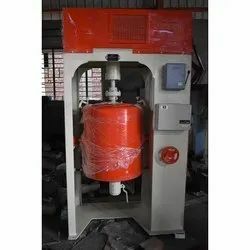 This machine is also available with heating or cooling jacket. • Capacity Available: 125 kgs., 250 kgs, 500 kgs, 1000 kgs, 2000 kgs, & 4000 kgs. • Applications: Washable Distemper, Pigment Colors, Pastes, Other chemicals processing industries etc. 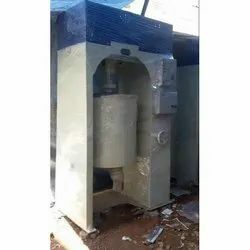 We are offering Water Based Paint Manufacturing Machine. 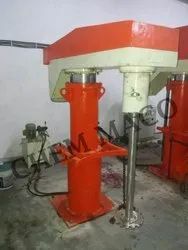 Looking for Paint Machine ?